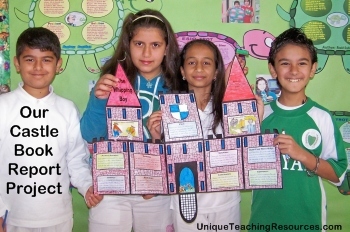 Extra Large Castle Book Report Project: templates, worksheets, rubric, and more. Are you looking for an engaging, challenging, and extra LARGE book report project with a medieval theme? This resource can be used as a group project, or as an individual student project. Castle Book Report Project: Are you looking for an engaging, challenging, and extra large (25 in. x 18 in.) book report project with a medieval theme? 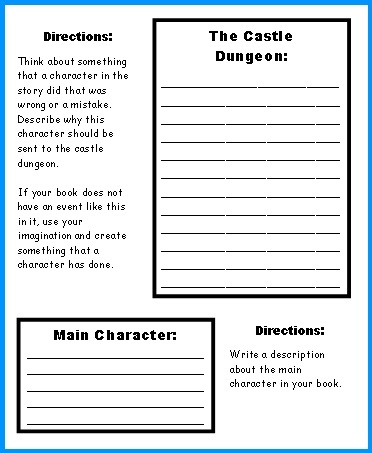 This castle reading response set can be used as a group book report project for a novel that the whole class has read together, or as an individual student book report project. 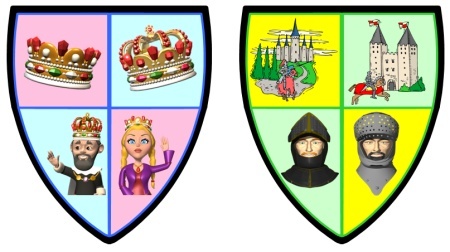 A teacher wrote me and shared that she used these castle templates for a group project for her unit on Fairy Tales and that these templates worked well with her theme. 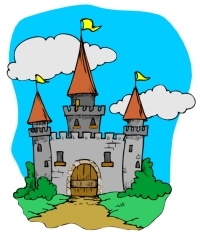 This castle themed book report project will provide you with all of the teaching resources that you need for your students to write about the key elements of their book. The writing responses have all been worded to have a castle theme to them. Traditionally, requiring students to write about the story elements of a book (characters, setting, plot, etc) is a task that most students find quite boring. 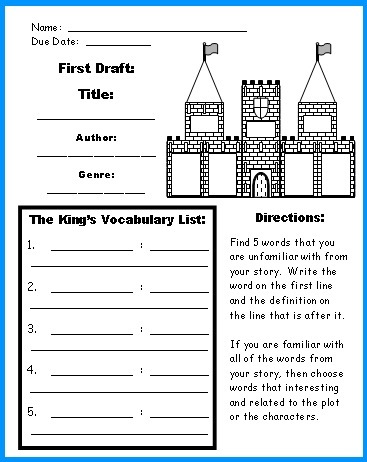 By using these uniquely shaped castle graphic organizers, your students will be eager to complete the writing sections for their book report projects that will help them to build a strong and fortified castle. 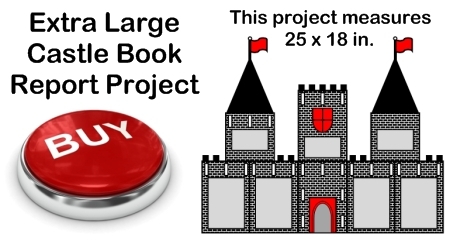 This extra large castle book report project measures 25 inches x 18 inches. 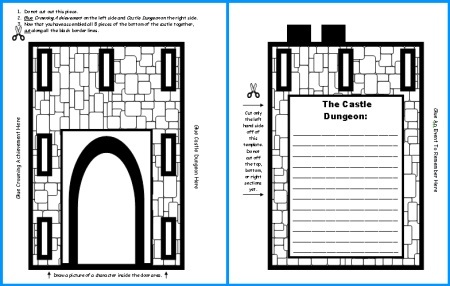 This uniquely shaped castle book report project contains 11 worksheet templates that assemble into an extra large castle. The finished castle project measures 25 inches in width and 18 inches in height. 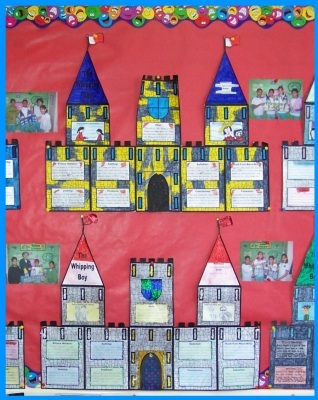 These finished castle book report projects will make an eye-catching classroom bulletin board display of your students' work. 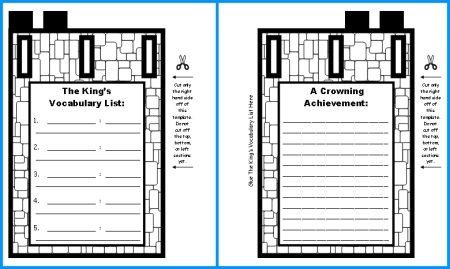 Everything that you need to complete these castle book report projects is included in this set. All that you will need is scissors, glue, tape, and coloring pencils. This castle book report project includes 3 pages of assembly directions on how to prepare and assemble this project. 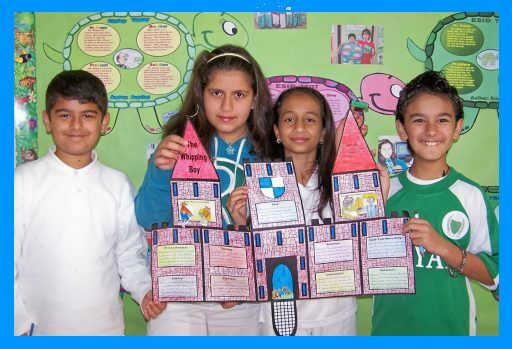 Depending on the age of your students, you could assemble these castle projects ahead of time for your students. Each castle takes me about 10 minutes to assemble myself. I have given my fifth grade students the direction sheets, and they were able to assemble their projects themselves. If my students assemble these themselves, I cut out the two templates that have flags on them ahead of time for my students because these are narrow lines to cut along. There are 3 pages of directions on how to assemble this project, the first 2 are shown below. 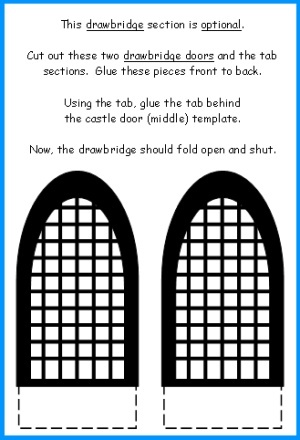 There are also assembling directions and tips on the castle final draft templates and student worksheets. This set includes a castle book report grading rubric. 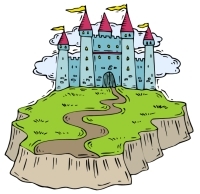 This castle book report project contains four worksheets for students to write their first drafts on. 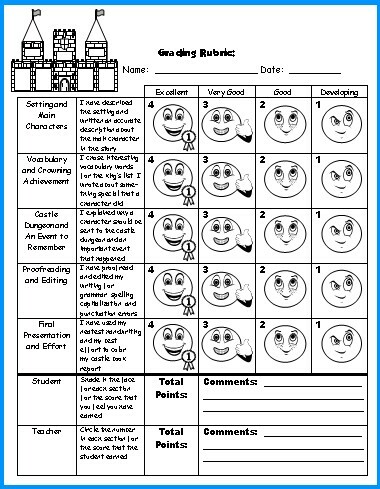 On my first draft worksheets, I have designed the writing line spaces to match the spaces allotted on the final draft castle templates. 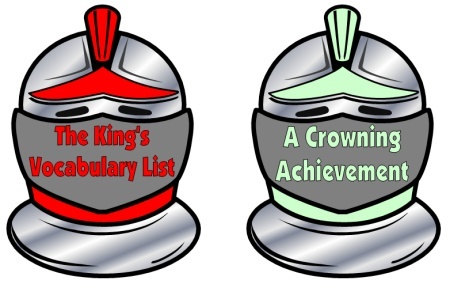 The King's Vocabulary List: Find 5 words that you are unfamiliar with from your story. Write the word on the first line and the definition on the line that is after it. If you are familiar with all of the words from your story, then choose words that interesting and related to the plot or the characters. A Crowning Achievement: Think about something special that a character in the book did and write about that event. This character could have been kind or helpful to someone, brave in a dangerous situation, or achieved a special goal. The Castle Dungeon: Think about something that a character in the story did that was wrong or a mistake. Describe why this character should be sent to the castle dungeon. If your book does not have an event like this in it, use your imagination and create something that a character has done. 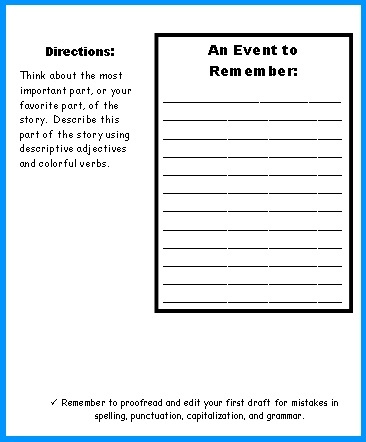 An Event to Remember: Think about the most important part, or your favorite part, of the story. Describe this part of the story using descriptive adjectives and colorful verbs. Setting: The setting is when and where the story takes place. 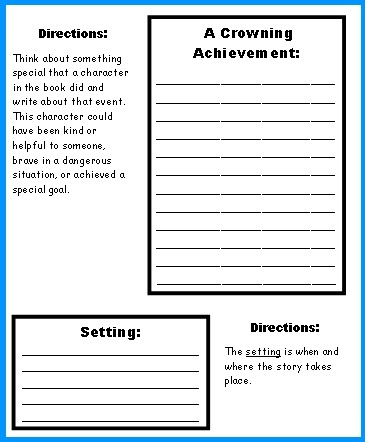 Main Character: Write a description about the main character in your book. 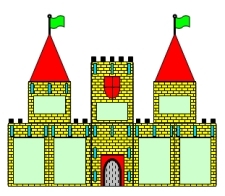 This castle book report set includes 11 templates that assemble into the shape of a castle. Inside the two roof triangles and the castle door, students draw and color three pictures. 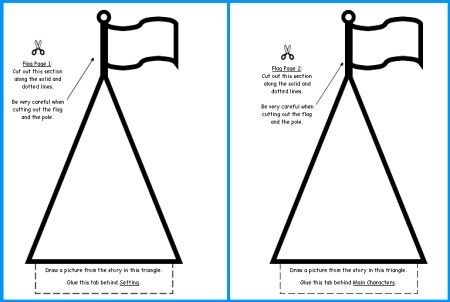 Castle Roof Templates: Students draw pictures in these 2 triangles. There is an optional step in this project that includes adding a drawbridge that folds open and closes. My students enjoy seeing my castle book report project first. They also enjoy hearing about the book that I chose to do my book report on, and this gives me a great chance to promote a book that I would like to encourage my students to read. 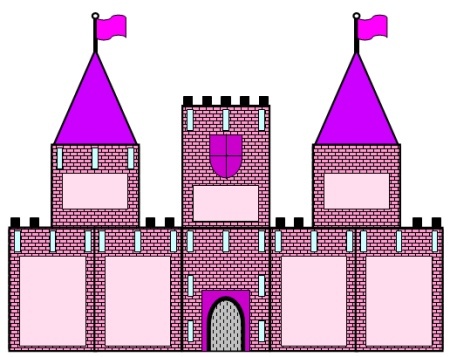 To save you time in coloring your example that you show your students, I have included color castle templates of this project for you to use. 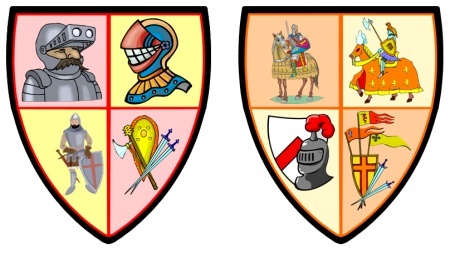 Below are examples of the first 8 out of 11 color castle templates. When I initially designed this set of castle templates, it was for a group project for the novel The Whipping Boy. If you are interested in seeing a castle group project specific to the The Whipping Boy, please click on the underlined links in this paragraph. 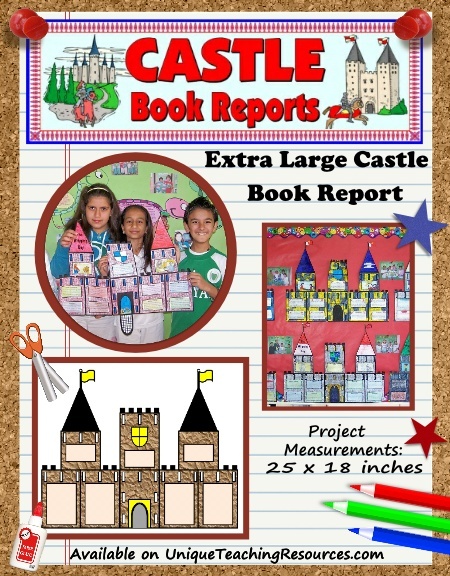 You can also use this Castle Book Report set as a group project. Grading Rubric: I changed this to have wording suitable for a group project instead of an individual student project. Below are some examples of my students' castle projects from The Whipping Boy. 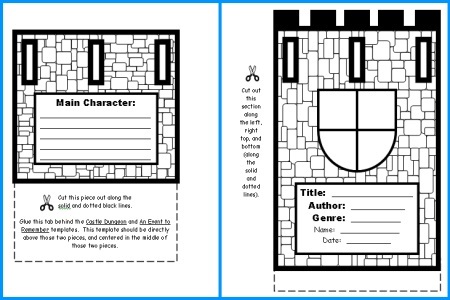 These templates are exactly the same size and shape as the templates in this Castle Book Report Project. I hope that these photographs will give you an idea of what a finished castle project looks like. My students have loved completing these castle projects with the members of their group! Finally, I know that it takes teachers a lot of valuable time to assemble their classroom bulletin board displays. Many teachers spend their valuable time cutting out large display letters or making a banner on their own at home on their computer. This time is valuable and better spent on developing your classroom curriculum and grading papers, so I have designed a matching 5 page display banner for your bulletin board. 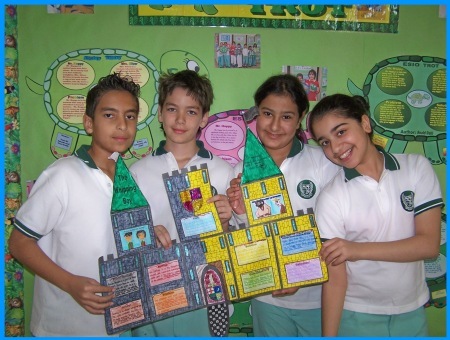 If you have access to a laminating machine, you can laminate your banner so that it is durable and you can use it year after year for bulletin board displays of these castle book report projects. This Castle Book Report Project includes 9 bulletin board accent pieces. There are 4 shields and contain graphics on them. You will be able to design a colorful and dynamic bulletin board display using your students' finished castle book report projects. 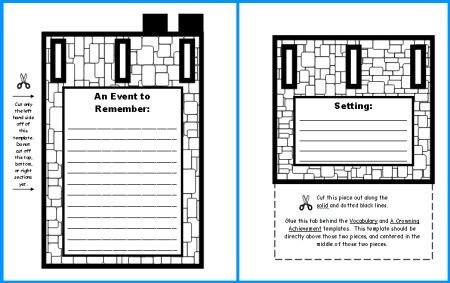 These castle graphic organizers are a unique and fun way to get your students excited about completing a writing assignment about the books that they have read. The writing responses that are required of your students will make them think and write about the main elements of their books in a challenging and engaging way. In addition, this book report set includes castle themed accent pieces to help you in decorating your bulletin board display. 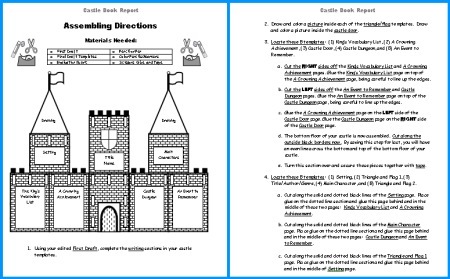 I have designed the worksheet components in this castle book report set so that this project can be completed as a group project, or as an individual student project. 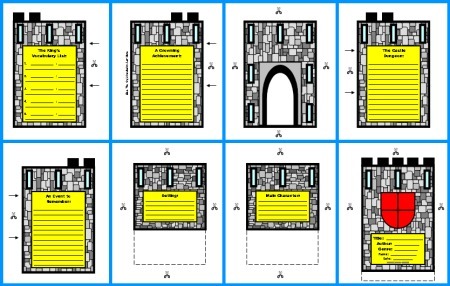 These castle templates can be used with any novel, but they are ideal for novels that have a medieval theme or a castle as the setting. 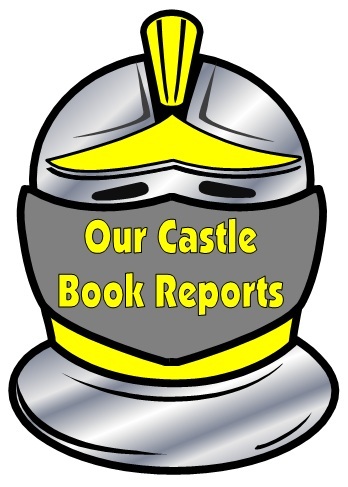 Thank you for visiting this Castle Book Report Projects page.